Enter to win a $25,000 Free Home makeover! When homeowners throughout the Denver, Colorado, area need new home windows, house siding, entry doors, or a roof system, there is only one name to know – K&H Home Solutions. Since we started in 1956, we have served more than 100,000 customers throughout the Colorado Front Range, giving us the necessary experience to tackle a variety of home improvement projects with ease and precision. Whether you need to replace the windows in your house, you want new vinyl, steel, or fiber cement siding, or you need a roofing contractor to install a new roof, soffit and fascia, and gutters and gutter guards, you can feel confident that the quality of our products and the skill of our installers will far exceed what you will find elsewhere. We pride ourselves on providing our customers with complete home improvement solutions, and our dedication to total customer satisfaction has earned us an A+ rating from the Better Business Bureau. When you choose K&H Home Solutions to install your new home windows, house siding, or entry door system, or to replace your roofing, you will appreciate that we work with many of the leading names in the home improvement industry. We offer vinyl replacement windows from Soft-Lite and Sunrise, as well as Milgard fiberglass windows . We also are an authorized dealer of entry doors from ProVia, James Hardie fiber cement siding, asphalt shingle roofing systems from GAF and Owens Corning, DECRA architectural metal roofing, and much more. We carry a wide selection of products to ensure you are able to find products to meet your aesthetic and budgetary needs. 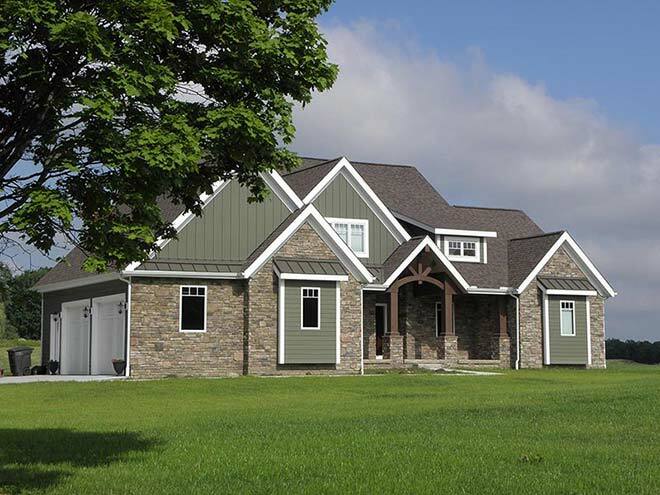 No matter which products you choose from our extensive portfolio, you can feel confident that you are making an investment that will help improve the beauty, durability, and energy efficiency of your home. From our vinyl replacement windows and steel and fiberglass entry doors to our exterior home siding and asphalt roofing, all of our products have unique features that can help to significantly improve your residence. "They covered my carpet & cleaned up inside and out.…I love my windows!”"
At K&H Home Solutions, we work hard to provide our customers in Denver, CO, and the surrounding area with not only the best home improvement products, but also the best service and craftsmanship. Our installers have a minimum of five years of industry experience and are specialized to install the products that they work with. For instance, our home window installers are InstallationMasters™ Certified and adhere to all guidelines set forth by the AAMA, our door craftsmen are ProVia Certified Installers, and our company is recognized as a James Hardie Elite Preferred Contractor for HardiePlank fiber cement siding. In addition to performing great installations, we offer top-notch customer service. We know how valuable your time is, and we are extremely flexible in accommodating your needs when performing home remodeling projects. We also work hard to maintain contact with you throughout the remodeling process so you know where the project stands, and we employ a staff of customer service agents to address any unlikely issues that may arise. We will even follow up with you once the job is complete to make sure you are completely satisfied with your investment and the work we’ve performed. To learn more about what makes us the best home improvement contractor serving Denver, CO, and communities throughout the Colorado Front Range, or to learn more about our replacement windows, entry doors, home siding, roofing systems, or any of our other products, contact K&H Home Solutions and schedule a free in-home consultation today. We do offer financing options to homeowners who qualify.